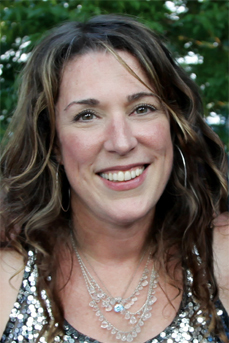 Beth Nielsen Chapman is an American singer- songwriter, whose diverse body of work spans eleven albums, six #1 hits, and songs that have been recorded by artists such as, Bonnie Raitt, Bette Midler, Willie Nelson and Neil Diamond, as well as Elton John who performed Chapman’s “Sand & Water” (written in the wake of her husband’s death in 1994) as a tribute to Princess Diana during his 1997 US tour. Her compositions have been featured in Film and TV including “This Kiss” ASCAP’S 1999 Song Of The Year, sung by Faith Hill, which garnered her a Grammy nomination and Nashville NAMMY’S 1999 Songwriter of the Year. Since then, Chapman has survived breast cancer in 2000 and a brain tumor in 2009. She draws from direct experience when she talks about about the fascinating dance between cognition and creative Flow. Chapman serves on the Honorary Board of “Healthy Child Healthy World” healthychild.org and is also as an inspirational speaker teaching creativity workshops worldwide. relationship between music, science and art. Winner of the Academic’s Choice Award and a 2013 American Library Association Notable Children’s Recording, “The Mighty Sky” made it’s debut at the UN during the “International Day of Human Space Flight” where it caught the ear of NASA Admin. Charles Bolden. Journeying alongside NASA into the expanding Field of STEM education, Chapman and “The Mighty Sky” team have embarked upon creating a model for “Project Based Learning” which empowers students to create their own lesson plans from the songs, tapping the powerful effect music has within the brain as a bridge to learning.